I try to feed the worms anything that is either free or don't cost much when the free stuff is not available. Free stuff is what I can get at local produce resellers and farmers. This time of year there are a lot of field rotted produce and some that reach the stores. I put these through a commercial quality garbage disposal and fill up 5 gallon buckets. Some of these can get real sloppy though. If there is a lot of watermelons and cantaloupes, the water is petty bad and can flood out a worm bin. The water also makes a lot of stuff you want on top go to the bottom of the bin. For a flow through bin this would be undesirable. What I do is mix enough shredded cardboard/paper in to absorb that excess water. Then, the mix can be mixed in with the top bedding materials so they won't go anaerobic. I feed this to them in an amount that will disappear in a couple of days. The paper won't disappear for about 4-5 days but then adding new every couple of days keeps it in there. I could also add some coir or peat to the slop in place of the paper. I also get coffee grounds from coffee shops and hit up a couple of restaurants for coffee grounds and vegetable scraps. When the free stuff gets scarce, I like to get some cracked corn and some cotton seed meal. I mix these about 75% Corn and throw them in a crock pot to cook. 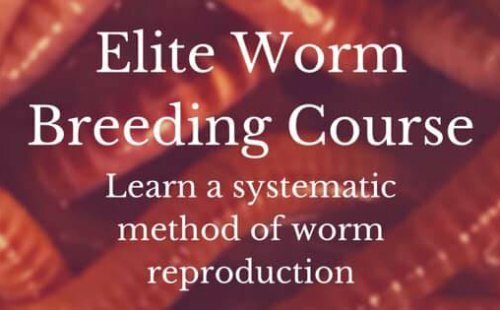 The worms tend to grow faster when their food is more digestible. I never had much luck with raw grains. They eat it but they don't grow as much as when it is cooked. I have tried whole grains but they need to be put through a blender or something to break the seeds open. I have some contacts for where I can get all the manure I can use but I have no way to haul it for now. I may forgo using manure for a while because Black Cow is expensive and not really necessary. I have 20 tons of 5 lb. coir bricks I can use instead. I hope this will give people a lot of ideas for food that is thrown away from local chains. I believe Starbucks gives away their used coffee grounds and filters to anyone wanting it. It's also (for those interested) a great idea to ask them and any convenient store if you can have their used grounds and baked goods. Commercial companies like to let their customers know that they participate locally in recycling their garbage. They could even put a sign up stating that your purchase goes to "so-and-so" for the growing of natural foods.